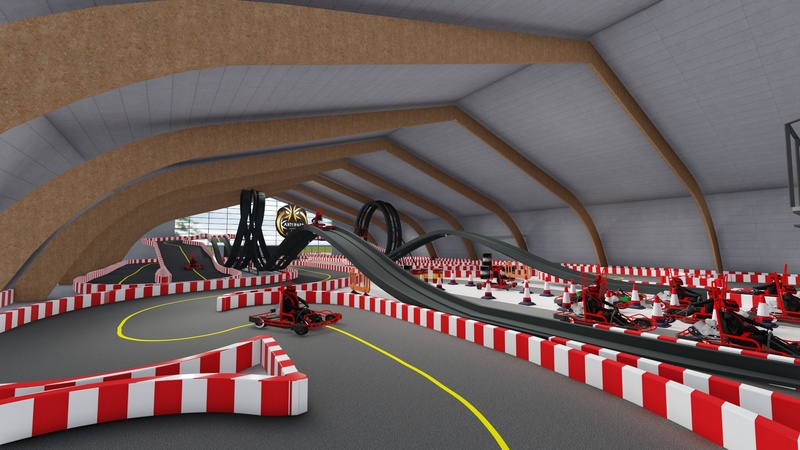 What so far has only been possible in video games now becomes reality: The Kartinger® KartCoaster® is the first to offer the possibility to not only use your Kartinger® E-Kart for conventional races, but also to actively drive it through loops, corkscrews and other well-known attractions from traditional rollercoasters. During such a spectacular move G-Forces of up to 6G might be reached. 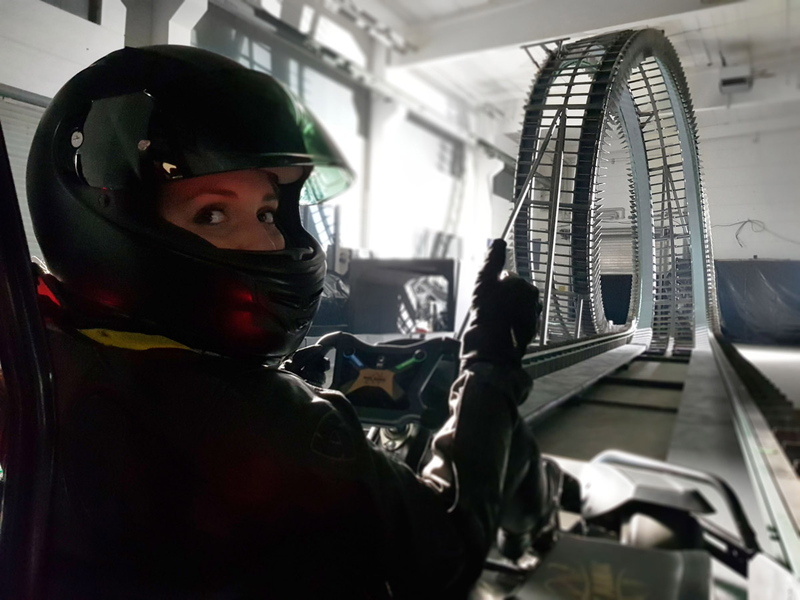 Up to now this experience has only been possible by riding a common rollercoaster in which you are strapped into and which is remotely operated. Only the bravest and most adventurous will overcome this challenge as any hesitation or fear will lead to failure. 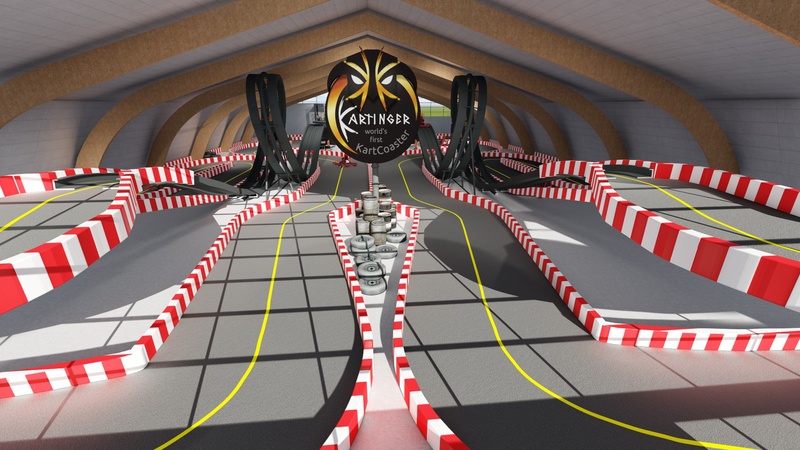 But do not worry as should your incentive leave you the Kartinger® E-Kart will be safely guided back out. 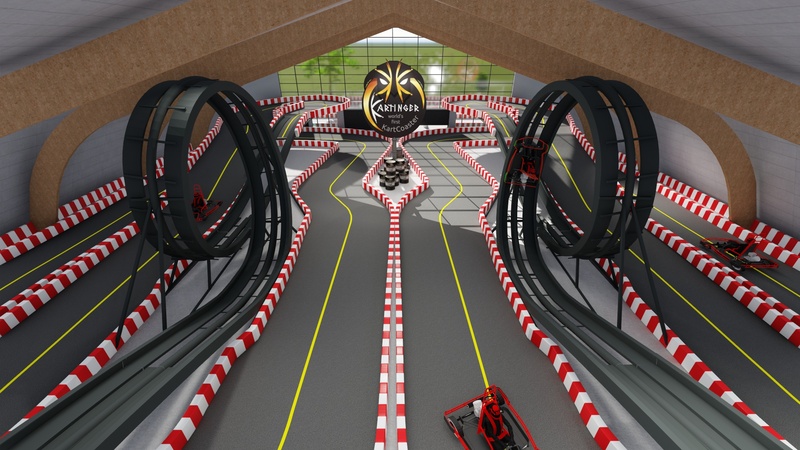 While actively driving through loops, corkscrews or other attractions your Kartinger® E-Kart is safely guided on both sides. 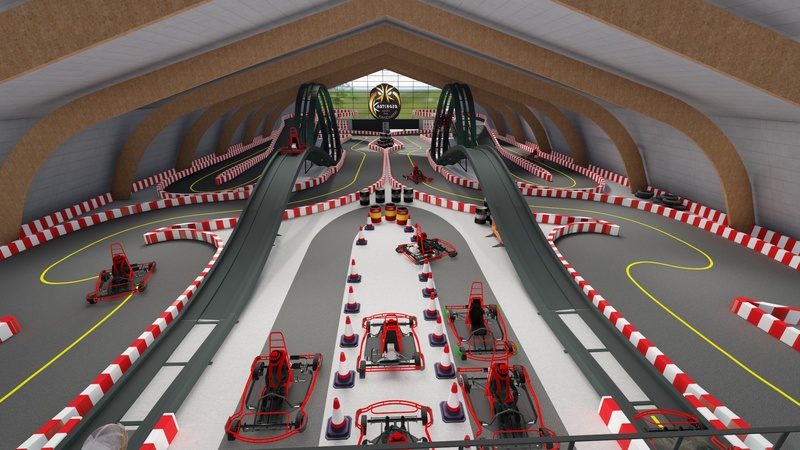 Optional, there is an electronically controlled barrier installed at the beginning of each acceleration path leading to the actual attraction, which ensures that only one Kartinger® E-Kart is driving through the attraction at a time. 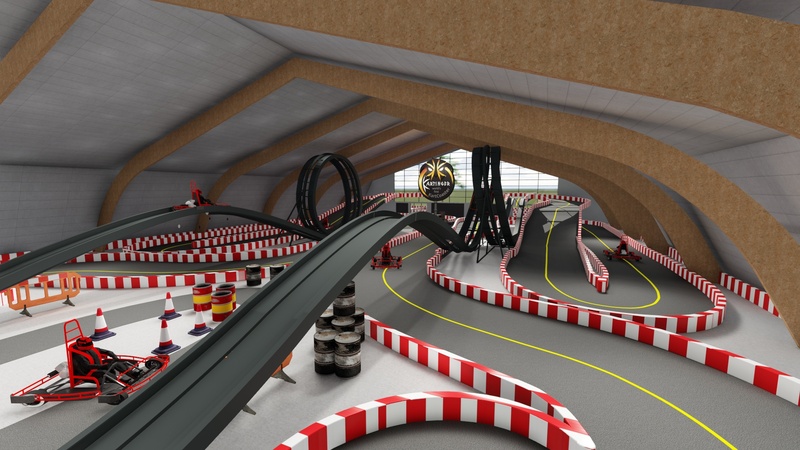 Kartinger® KartCoaster® attractions are exclusively permitted by use of the Kartinger® E-Kart only. 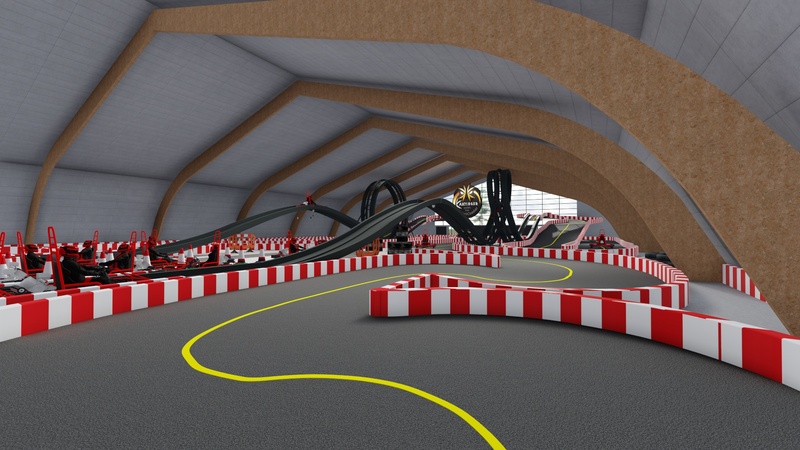 All Kartinger® E-Karts used for driving through a Kartinger® attraction are especially modified in regards to electronical and sensorical components in order to guarantee a safe experience and to ensure limited speed accelerations. 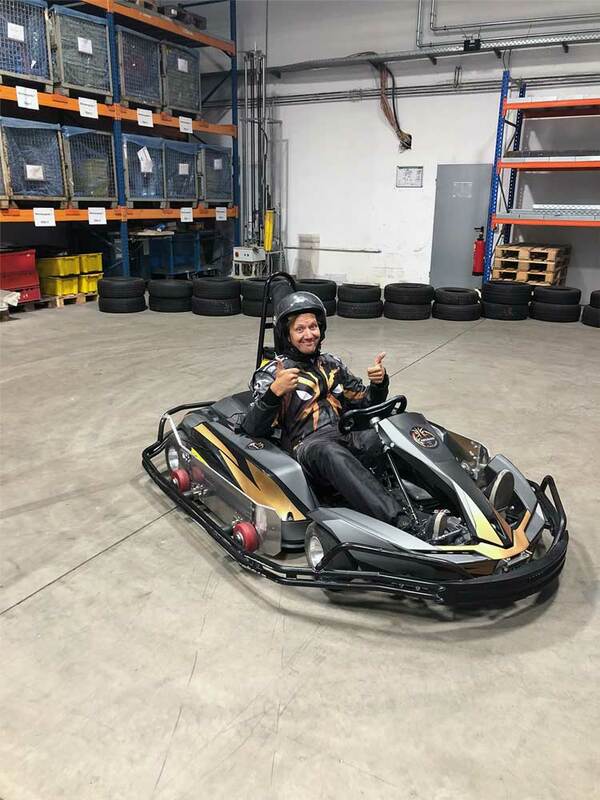 Last but not least all Kartinger® E-Karts are equipped with special security belts which ensure safe and tight fit during your ride. 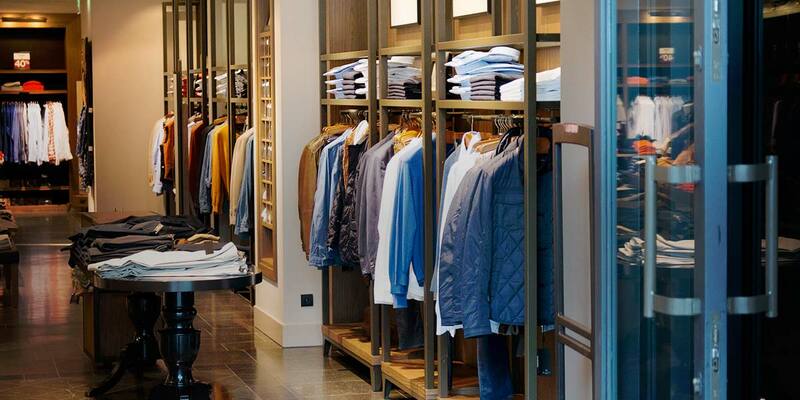 The entire underlying technology has already been applied for patent. 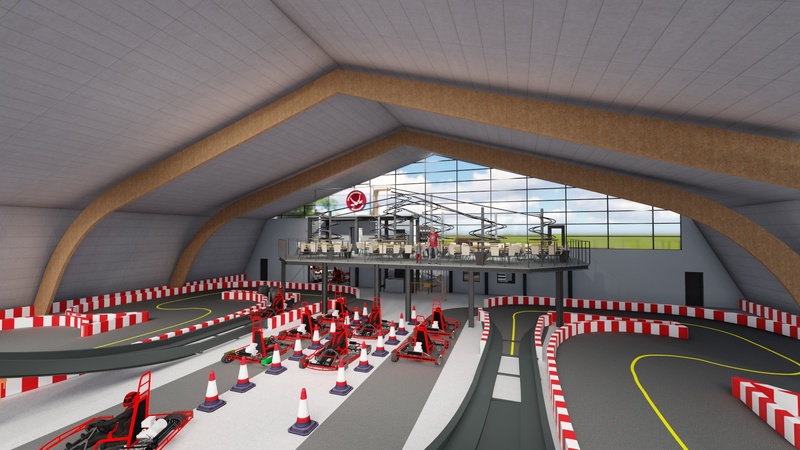 Theme parks, kart course operators or showman who are interested now have the possibility to visit us and to experience the prototype of Kartinger® KartCoaster® live at our premises in Nuremberg, Germany. Kindly contact us to register. 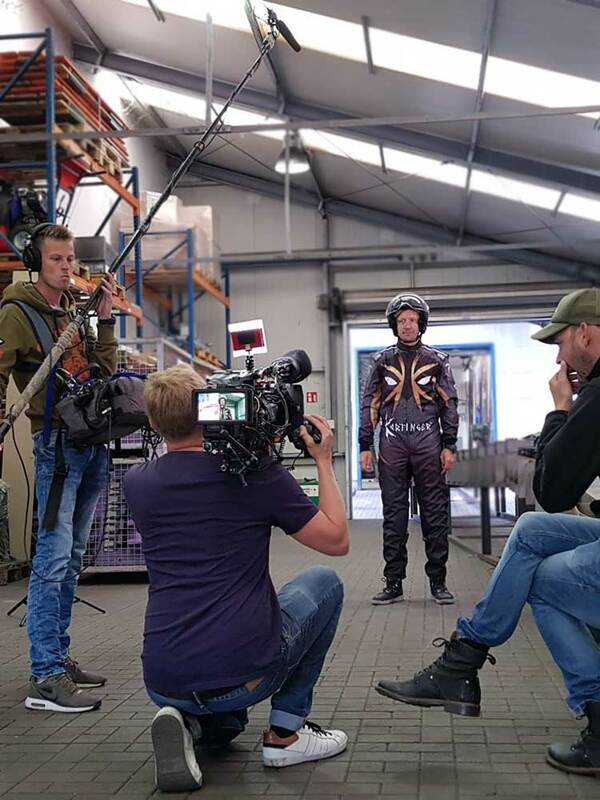 In August 2018 there has been a film shooting for the Dutch TV Show “Klaas kan Alles”. The movie will be broadcasted on October 6th 2018. 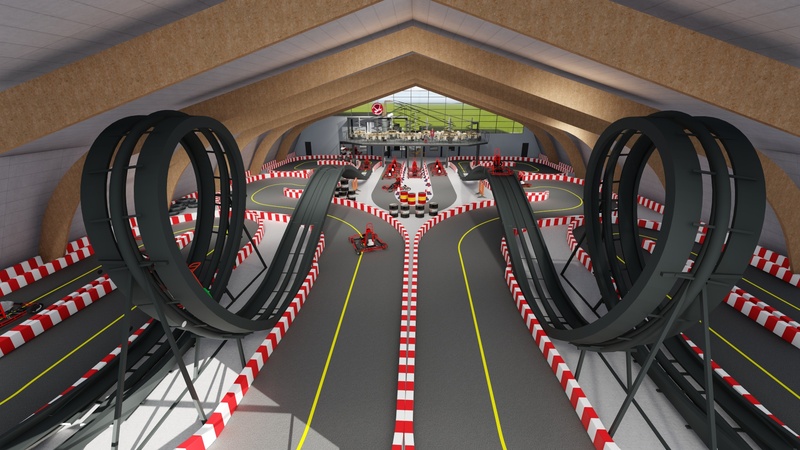 Are you looking for a really new and unique experience for your company event? 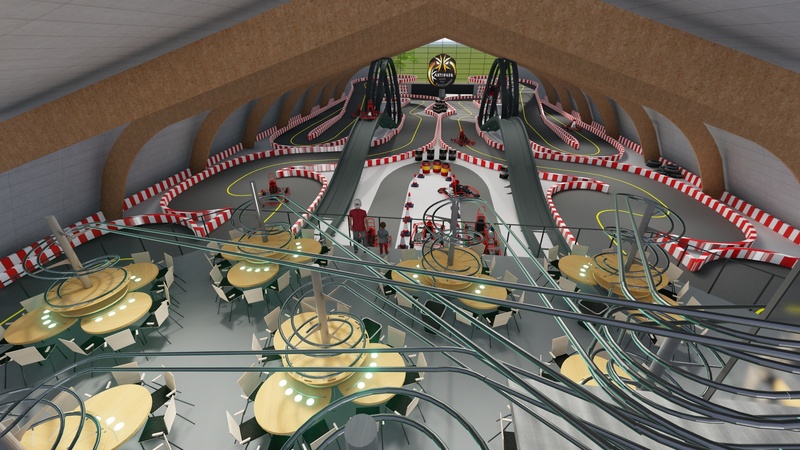 Would like to test whether the Kartinger® KartCoaster® is an actual and sustainable visitor magnet for your kart track or amusement park? 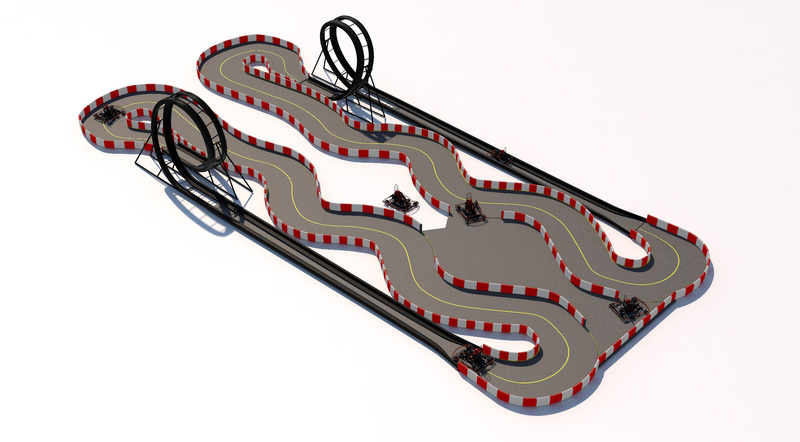 Then rent a mobile Kartinger® KartCoaster®!